"They shall grow not old, as we that are left grow old: Age shall not weary them, nor the years condemn .At the going down of the sun and in the morning, We will remember them." We are currently in the process of installing new gate sensors to the main gate. As a result all customers' key fobs will not work for the main gate. Please pop in to the marina office when you arrive to have your fob reprogrammed. This should not affect access to the toilet/shower block. 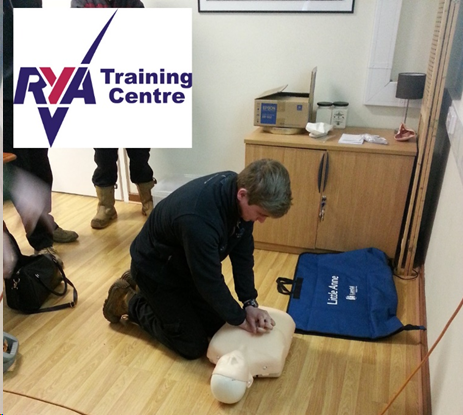 RYA First Aid Course (1 Day) £100 per person or You plus a Crew member for £150! We all love boating because of the freedom it gives us, but we also know there is potential for danger. Did you know that when you’re in the Solent, you’re at least 20 minutes from safety if something does go wrong? Learning a little First Aid would surely put your mind at rest! If something did go wrong, you would know what to do and it could help save someone’s life. Our sister company JBT Marine offers a 1 day RYA First Aid Course that covers every likely medical situation you may come across when afloat. Everything from spending too long in the sun to more serious head injuries or sudden health problems. Their next RYA First Aid course is Friday 27th June. To book and take advantage of their ‘Buy One – Get One Half Price’ Berth Holders Offer call Matt on 02392 397000.